I was going to write an open letter to Mary Kay NSDs and sales directors, and I know they read here, but it seemed to be a futile gesture. 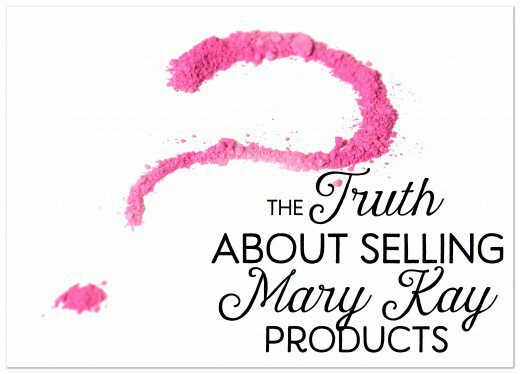 I wanted to ask them to think, to ask questions, and to look at the reality of Mary Kay. It ain’t gonna happen, so I will write to the Pink Truth readers instead. For the newbies who don’t know me, I was a non-stellar director for many years, and found PT, read it and was horrified, could not tear myself away, was berated by my then sister directors for reading that awful-spawn-of-the-devil site, decided to do Mary Kay the “right way” (no recruiting unless someone had resources to burn… no frontloading… releasing product changes to my unit as soon as I knew about them…didn’t spend the money for Leadership or Career Conference…that kind of stuff). So, of course, the production dropped and the car co-pays started, the commissions went waaaaaaaaaaaay down (and they weren’t all that high to begin with), and by golly, I was not able to give myself a raise. My unit died a slow death, the car went back and so did the rest of my inventory. And I was out. The night I was locked out of InTouch, it felt like I had been kicked in the stomach. I called another director who was a Pink Truth reader, and cried so hard, I could hardly talk, and all she could do was make soothing noises. I recovered my sense of humor when the blue check for my returned inventory arrived with the wonderful mythical Mary Kay math formula applied. MK is the best selling brand to CONSULTANTS. Most people cheat to make it into the courts. MK directors can use up to 4 separate credit cards to put in a single order. People DO NOT love MK’s products. The products are not cutting edge. The spin at corporate puts experienced spiders to shame. Corporate does not have consultant’s best interest(s) in mind. It’s all about what works best for them. The bumps you get when you start using the product is NOT caused by pores cleaning themselves out. It’s a negative reaction to the product. TimeWise 3 in 1 Cleanser does not cleanse effectively. When sales are down, new products are introduced. They are limited edition and will sell out. They have been in the works for at least 1 ½ years. Really. I am not making this up. Even when a huge change to the product line is coming, directors will still sell the sizzle of BIG inventories for newbies. They will justify this behavior by saying to themselves and the newbies, that the products will be sold before they are discontinued. Directors generally (but not always) know what is coming down the pike. They are told not to tell the consultants because leaking this info might cause people to hold orders and there goes that monthly production. Many many directors order the last day of the month to boost their monthly production so they can earn a bonus or at least hit the minimum $4,500. Standards and rules enforcement/contract enforcement is arbitrary at best, and malicious at worst. You matter to your director so long as you order. Otherwise you hear from her at the end of a particularly crappy month. Dialing for dollars. If you do not return your product, do not be surprised if sometime down the road you start receiving the Applause magazine again. You were reinstated by your director to meet a goal. Sometimes you are asked about it first, often you are not. Directors are scared. They are also disposable. Watch for qualifications to change. Here today, gone tomorrow. Buh-bye. NSDs are scared. They worked their people and their available credit to make it to the top, and there’s some serious excavation going on at the bottom. $5,000/month is not executive income. Especially since the expenses are not factored in any time anywhere. Oops. It takes a while for the really big areas to show the erosion, but, hey, we’ve got time. Watch and learn. Frankly, it’s more lucrative to stay a top director than to become a NSD. Pay attention to the NSDs who have 8 or so directors in their downlines. And yes, we have up and down lines. “Families?” Not so much. Directors and the NSDs who are fogged, really ARE fogged. They have so many deep deep layers of pink foof on them that they really honest to God, don’t realize what they are saying and doing. Don’t take it personally. Remember, you are not a person, this is a numbers game, ladies, and you are a number. And you obviously “don’t get it” so there you are. God does not hold Mary Kay in the palm of His hand, or at least not any more than He holds WalMart and Target, too. Just for fun, check the Biblical passages and scriptures that are used by directors and NSDs IN CONTEXT, it’s just amazing what leaving out a word or two can do. The truth is NOT negative. It is the TRUTH. Since when is it a good idea for someone to limit the amount of information you choose to receive? And last but not least, Mary Kay is a multilevel marketing company. Period. Just like Amway. Just like all of the ones that want to call themselves direct sales or network marketing or some other innocent term.Mary Kay is just not honest about it. Do whatever you need to do to make this right FOR YOU! Come back to Pink Truth often, the truth is here, and the people who will help you are here. You aren’t stupid. We all believed the lies at one time. God will bless you richly in OR out of Mary Kay, and be nice to those in still the fog. We were all there at one time. I am in the pink fog right now. I joined to help my mother in law out and I truly was super excited about it! That was until I started to do the calls every week, and the inventory talk came up. I told my director I was going to take a break for a minute she STILL called me and asked for me to have people listen to the opportunity so she could send me my pearls. I don’t want to do the skin care classes, I dont want to warm chatter, I dont even really like to approach people if I dont have to. I really dont know what to do to get out, without feeling like a load of crap! No need to feel like crap. Tell your director that since you’ve had a chance to look at things more closely, you’ve decided that “Mary Kay is just not for me!” She’ll try to get you to tell her why. Resist the urge to do so. The next thing you say is “Please respect my decision.” You end the conversation there. It’s just business. You’ve been respectful. You should be able to leave without feeling like that. I was the same way, and I am sure others were too. If you have inventory, return it. If your director reaches out, just tell her that there are personal reasons for you to leave and she needs to respect that and leave it at that. You do not owe her an explanation, and she doesn’t need to try to convince you to stay, and she will try. My old Director sent me a text that said she wanted to talk to me about new products, and such. I deleted the message and blocked her number. I know that it was a mistake the first time and I am not going to make that mistake again. I wasn’t in for very long, and even I could get a sense that something just wasn’t right. NO ONE here on this site will judge you. We will help you. The people here know how you feel. We have all been a consultant, Director, NSD- some level in MK. We got out not because we failed, but because we saw the truth. Help her do what? Does your MIL want a promotion? Is she trying to earn the cruise? The MK car? Are you aware that “helping” her simply means that you ORDER (and continue to order) a ton of MK inventory? Are you prepared to go into debt to help your MIL? I know it’s awkward because it’s your MIL, but you need to get out now. Don’t wait, because it will get worse as Seminar approaches and the Kaybots become even more frantic and desperate. If I’m your customer and pay $50 for a product set your commission is $25. (She’s a red jacket at 4% commission) I have to buy $625 wholesale and pay about $113 sales tax on $1,250. (She’s a Director at 13% commission) I have to buy $195 wholesale, which is not a “qualifying” order for you, and pay about $35 sales tax on $390. (She’s a Director and your personal recruiter at 26% commission) I have to buy $96 wholesale, which is nowhere near a “qualifying” order for you, and pay $17 sales tax on $195. Honestly, MIL, wouldn’t it be better for everyone, you included, if I just bought the $50 set? You’d get the full $25 and I could spend the rest of the money on your grandchild’s music lessons, swim lessons, T-ball gear, new shoes, college savings fund? I’m sorry you think I’m unsupportive, MIL, but I have to prioritize your grandchildren over your business. If you don’t want me as “just a customer” I’ll use the $50 for groceries. For your grandchildren. Really MIL? You’re just trying to help me build a sales business? MIL, if the stuff was that easy to sell you wouldn’t need to recruit me. And you wouldn’t have a bedroom full of old products you can’t sell and can’t return. I’ve seen it, MIL. My answer is NO. Please respect my decision. Yes! The talk about Seminar has already came up and I dont want to go..I have said it in every way possible that I Just dont want to do it. I know for a fact last month she used her own money to get the “key” that was well over $600 smh. But you are sooo right though I dont want to go into debt…I just got out of it! Don’t do it. Getting out of debt is a great thing. As for your MIL, no means no and she has been taught that it means I need more information. I’m sorry that she’s deep in the fog, and this time of year is hard to defog due to the promotions that they run. I got in this time of year in 2008 during a cash back promotion using the $200 I had to my name. Don’t forget these are the same people using dead people,s names to finish a goal. Invitations to a Seminar luncheon or even a walk onstage isn’t worth sacrificing integrity. Trust me on this: It’s rampant. Backstage is filled with “fake it until you make it” people. Yes, it’s possible to make executive income (>$150,000/year) in MK, but it isn’t PROBABLE. And even if the person thinks they are of the few that can do it and make that “possible” 150k, they must ask the question what they must “do” to achieve that. In MLM, one must lie and cheat to be “successful” – even if just repeating a lie you don’t realize is a lie. To me, this is the main message everyone must grasp to stop this wolf in sheeps clothing scam. That “feeling like crap”…? That’s the emotional manipulation process. That’s exactly what they want. Shame, guilt, fear… all the result of psychological manipulation, aka brainwashing, mind control, thought reform, etc. You will move past it. Try to share these feelings with others: Husband, real friends – not MKult “friends”, pastor, psychologist, etc. This will help you process the experience faster, and help you recover sooner. There is no embarrassment in being manipulated, conned, or being taken advantage of. Someone manipulated you while you were vulnerable, quite possibly not knowing they were manipulating you – it’s just what they were trained to do. Keep reading, and sharing, and healing. That’s it. Use your own money to get _________________. Welcome to Mary Kay. If you’re looking for an expensive hobby, you’ve found it.